Improve your seasonal wellness in just one week with Pukka unique organic tea & supplement kit. A 7-day organic tea and herbal supplement kit to help your body cope with seasonal changes. Let yourself fall into a deep bed of ripe wild fruits: purple-black elderberries, inky blackcurrants – blessed by the fragrant FairWild elderflower and touched by the tingling notes of echinacea. Safe in your fruity refuge, you’ll be ready for anything. Stay warm and well. Andrographis is an organic whole leaf herb we grow in India`s fertile organic soils where they capture the incredible essence of nature’s bounty. This powerful organic supplement has been formulated by our expert herbalists to help you deal with seasonal attacks on your wellbeing. Elderberry & Echinacea tea with Elderflower: Naturally caffeine-free ingredients: Licorice root*, ginger root*, echinacea root and leaf* (10%), beetroot*, aniseed*, elderflower* (8%), peppermint leaf*, orange peel*, rosehip*, elderberry*(6%), acerola fruit*, orange essential oil flavour*, natural blackcurrant flavour. 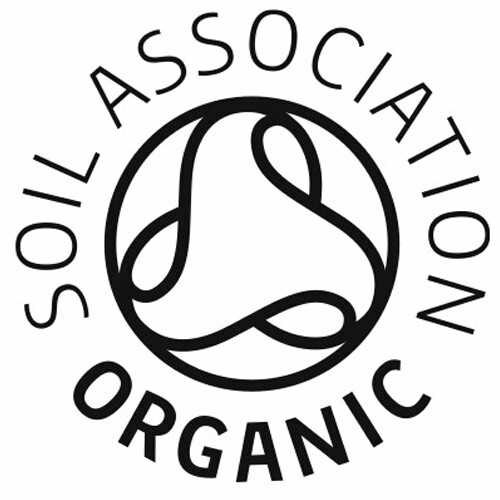 (*organic ingredients (99.9%)). Andrographis food supplement: Organic andrographis leaf, vegetable cellulose capsule (hydroxypropyl methyl cellulose). 2 capsules per day with water before food / Infuse 1 tea sachet in freshly boiled water for up to 15 minutes once a day. 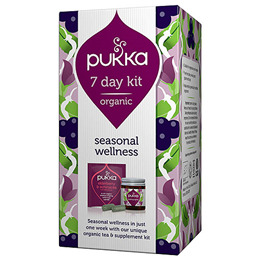 Below are reviews of Pukka Organic Seasonal Wellness 7 Day Kit by bodykind customers. If you have tried this product we'd love to hear what you think so please leave a review.